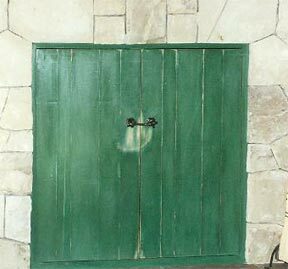 1) LEFT: Custom exterior door treatment using Green distressing & staining to create a weathered, yet fashionable look. 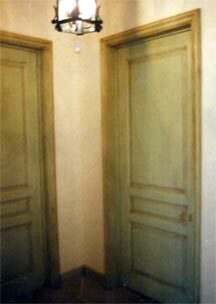 2) RIGHT: Custom faux finishing on interior doors and an example of wood staining. 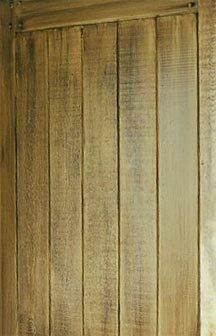 Custom finishes can use old, existing wood to create unique effects and revitalize a piece that you might think was ready for retirement. 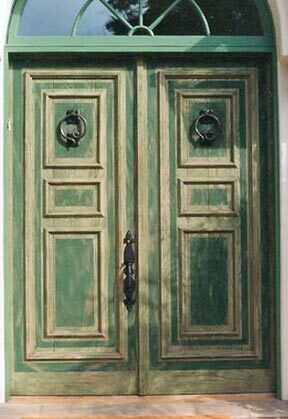 It can renew your interior and exterior surfaces and breath new life into the design and feel of your home.